Insight, explanations, and guidance from the unique perspective of an airline pilot to specifically to address your fear of flying. 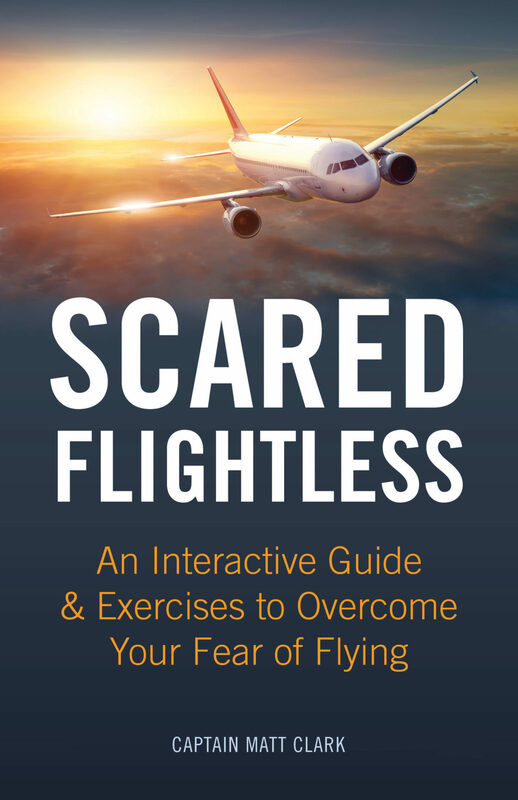 Having a fear of flying is quite common, completely normal, and very understandable. There are literally tens of millions of people across the globe who suffer with some degree of anxiety or discomfort when flying. Fortunately, you don’t have to be one of them. The information on this site is intended to combat those anxieties with insight, perspective, and advice from a commercial airline pilot, which can help you to address the thoughts and feelings you experience when flying. Whether it’s your first time flying or five hundredth, you don’t have to let your anxiety continue to influence your life. Help and guidance is available here. The pilots on our flight declared an emergency. That sounds really bad. What does it mean? Is the plane in a lot of danger? Typically, when we hear the words emergency, we tend to think of a worst-case scenario: a horrible car accident, a house on fire, a heart attack victim, or any other reason to dial 911. On the news, we sometimes see government officials declaring a “state of emergency” in response to some massive natural disaster. Often, this means that a hurricane has destroyed thousands of homes or that raging fires have burned down entire towns. By any stretch of the imagination, these are all horrific events that are quite deserving of the title: emergency. However, in the world of commercial aviation, a declaration of an emergency does not necessarily mean quite the same thing. 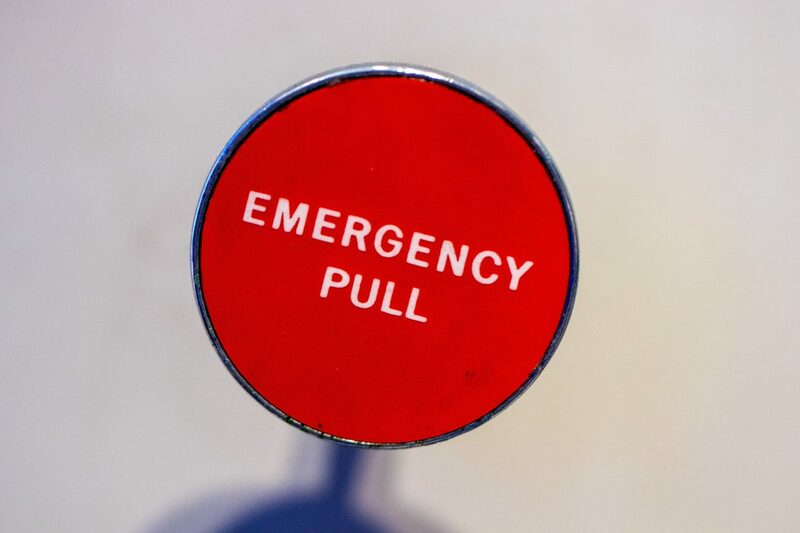 Believe it or not, the act of “declaring an emergency” does not necessarily mean that something really bad has happened or gone horribly wrong. It is more accurate to think of it as a way for the pilots to exercise additional caution, attempt to minimize risk, and preemptively ask for help. Flying is one of the safest modes of transportation in existence and part of that is due to procedures and a culture that places safety above all else. Every aspect of commercial aviation is structured and geared towards minimizing risk. Pilot’s play their part by always erring on the side of caution and never taking any chances. Declaring an emergency is a tool they use to do this. Most of the time in our daily lives, we don’t consider something an emergency until after something bad actually happens. Life is going smoothly until all of a sudden… BANG! Your car gets sideswiped by another vehicle. Or, you see smoke and flames engulfing the roof of a nearby house. Obviously, we don’t have a crystal ball to know when something bad is going to happen. But what if we had a way of seeing the warning signs that an emergency-type situation could eventually happen? What if, in those instances, we could preemptively dial 911 and have the paramedics and/or fire department magically appear before the problem becomes serious. Well, pilots have that ability. If some condition develops whereby the flight is no longer operating under normal or routine circumstances, the pilots may choose to take initiative and call for help by declaring an emergency. For example, this could be due to a backup system malfunctioning. In fact, the overwhelming majority of cases, pilots who declare an emergency are doing so for something that is arguably not an urgent or serious problem. They do so because they want to be extremely cautious and have help standing by in the event that anything else occurs. In the pilot’s mind, there’s simply no reason to let a minor issue become anything worse. Additionally, by declaring an emergency, the pilots also receive priority handling and assistance from air traffic control. Basically, this means that every available resource is redirected to ensure that flight is guided safely back down to earth. The pilots then have wide latitude to determine what actions they should take to ensure the continued safety of the flight. But that’s not all! As soon as this happens, air traffic control will clear all traffic out of the emergency flight’s path to ensure an expedited approach and landing. Emergency equipment will also be waiting in position when the plane lands. So, think back to the car analogy. When pilots declare an emergency, it’s roughly the equivalent of you deciding that you hear or see something abnormal with your vehicle and you elect to pull your car over to the side of the road as soon as possible (before an accident happens). At that same instant, it’s as if a police officer suddenly appears to clear a path for your car. Simultaneously, your auto mechanic, the fire department, and paramedics are waiting for you on the side of the road. All of this happens instantaneously and is at no expense to you. What a great resource! Why wouldn’t you use this option if things weren’t going perfectly? Ultimately, if the pilots realize that everything isn’t 100% in order, they’re going to make the decision to ask for help. This sometimes means declaring an emergency, landing asap, and having highly trained professionals at the ready to assist and correct any issue. Why wait and let a minor issue become a real problem? Pull over as soon as practical and have your concern addressed by the experts. That’s what the pilots are doing. At some point, you may have seen an article or news story talking about a flight that declared an emergency. Most of us would assume that there was a serious problem with that plane. However, the truth is usually much less exciting. If you spoke to any of the passengers on that flight, they would likely tell you about how nervous they were about the plane having an issue and the uncertainty of it all. Quite understandable. However, they would probably also acknowledge that the plane landed without anything noteworthy actually happening. During the flight they might have heard an announcement by the pilots stating that they discovered an issue, but that’s probably about it. 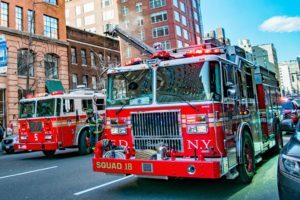 The only real, visible indication of something out of the ordinary would likely come after landing in the form of fire trucks appearing alongside of the plane. Those trucks might then follow the plane all the way to the gate (which is done as a precaution). Other than that, nothing special happened. And that’s the real story behind “declaring an emergency.” There’s very rarely a serious problem. It’s just the pilots being extra cautious and preemptively asking for help in case it is needed. And why not? There’s no point in taking risks. Flying’s incredibly safe for a reason…the pilots don’t leave anything to chance and take advantage of all the help they can get.